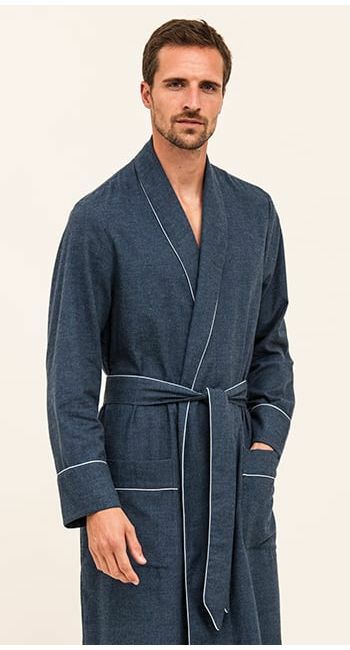 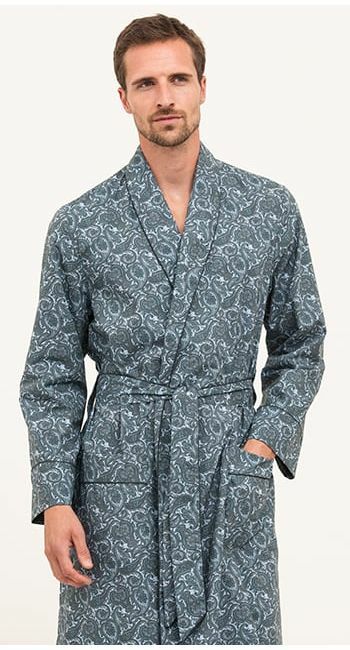 A stunning men's wintry dressing gown in a sumptuous cotton/wool blend. 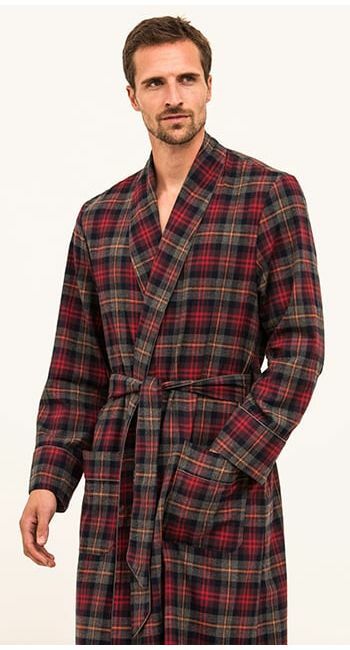 This full length aubergine and grey check gown features two side pockets, a self fabric waist tie and is finished with grey piping. 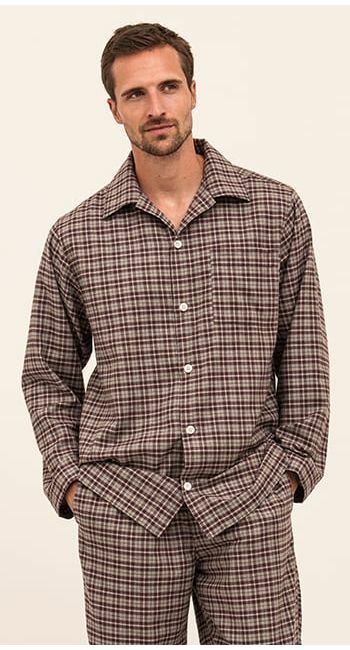 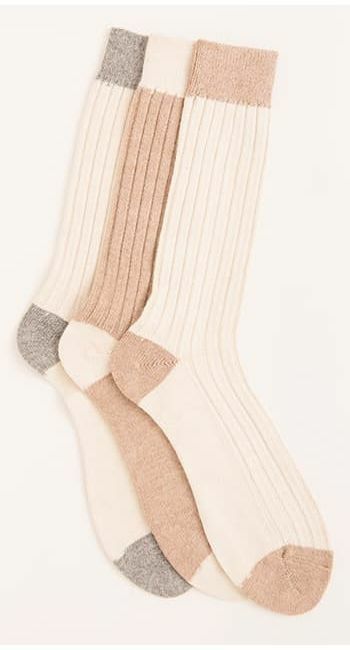 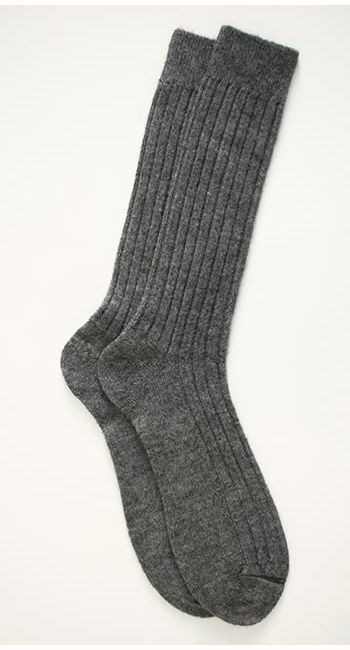 Complete the look with a matching pair of pyjamas and a pair of our cosy men's alpaca bed socks.